Diabetes affects more than 2 million adults in Florida. Although a chronic condition, with the right treatment you can manage your diabetes and prevent complications. 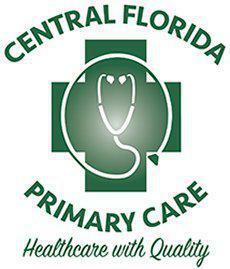 Pedro Ortega, MD at Central Florida Primary Care, with offices in Winter Park and the MetroWest Community of Orlando, Florida, provides quality health care to people with diabetes. Call today or schedule an appointment using the online booking button. Diabetes is a chronic condition characterized by high blood sugar (or glucose) levels. Glucose serves as your body’s preferred source of fuel and comes from the food you eat. Insulin, a hormone produced in your pancreas, helps carry the sugar from your blood into the cells to provide the needed energy. If your pancreas isn’t making insulin, referred to as Type 1 diabetes, or your body can’t use the insulin you do make, referred to as Type 2 diabetes, the glucose remains in your blood. If glucose levels remain elevated, it can damage your blood vessels and lead to other health problems, such as kidney disease, heart disease, and peripheral neuropathy. Type 2 diabetes is more common than Type 1 and most often develops in adults 45 and older. Your risk of diabetes increases if you have a family history of the condition or you’re overweight or obese. The severity of diabetes symptoms depends on the diabetes type. If you have Type 1 diabetes, the symptoms come on quickly and are quite noticeable. If you have Type 2 diabetes, you might not notice the symptoms, or if you do, think they’re related to something else. Dr. Ortega practices preventive medicine and recommends you come in annually for your physical exam so he can evaluate your health and risk of diabetes. Catching symptoms and changes in your blood sugar levels early can prevent you from developing diabetes. Dr. Ortega creates an individualized treatment plan to help you manage your diabetes. Treatment can include diet, exercise, and medication. Because food plays such a central role in blood-glucose levels, this will be one of the most important parts of your diabetes management. Dr. Ortega will work closely with you so you understand how what you eat affects blood-glucose levels, and provide diet recommendations to help improve your numbers. For diabetes management from medical specialists who care about you and your health, call Central Florida Primary Care, or book an appointment online.